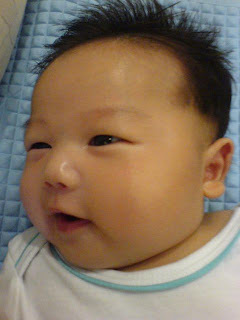 He's my sister's 1st child since she got married in 2006. Obviously, everyone in the family is happy lately, including relatives and friends of course. 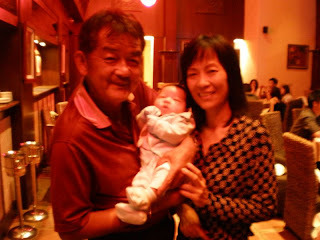 Especially for my parents, they seem more jovial and halcyon since he's born. You can sense the joy in the atmosphere. ahh there's my sis n my brother-in-law =). so surprised to see wing kit as the dad ! if i spell his name correctly. hahha. u had me there. 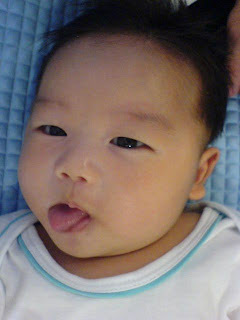 =P super cute baby u have as a new member of the family by the way.